Every year, I set a list of goals that I want to accomplish. As my fitness journey has increased, so have the goals increased. For example, one year I set a goal of running a half marathon. Not only did I achieve that goal, but ended up completing my first full marathon as well. Sometimes it’s the unexpected goals that are the most rewarding. I am closing in on one of those unexpected goals. At the first of the year, I set a goal of running 750 miles this year. The prior year I had run a little over 500 miles, so I figured that increasing it by 250 miles would be a nice accomplishment. I have been keeping track with my Garmin and another app, but they both only showed individual runs and not the total for the year. A friend challenged me to run 100 miles in the month of November. I accepted that challenge, and was using my old method to keep track, mainly paper and pen. My friend suggested that I use the Garmin Connect website and set a goal. Then the website, along with my app on my phone and my Garmin watch, would keep track for me. It was about time for me to learn how to utilize more of what my watch had to offer, and how to use the website better, so I sat down at the computer to learn how to set a goal. To my surprise, it was quite easy to set the 100 mile goal. I named it, answered a couple of questions, and set the start and stop dates. Then I figured out approximately how many miles a day I would have to run in order to make the goal. 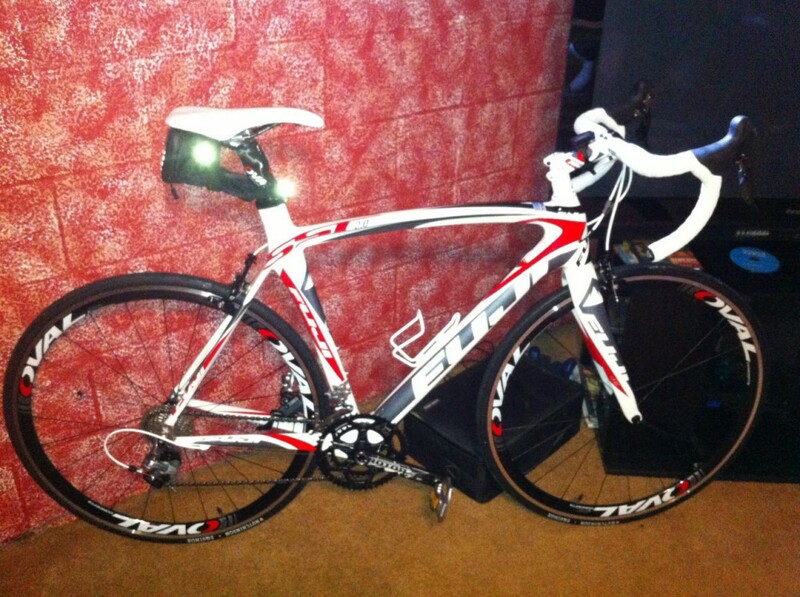 Then I got the idea to set my 750 miles in a year goal. When I did, what I saw was shocking. I was already over 100% of my goal! I started to wonder if it was possible to reach 1000 miles in a year. I have heard of people who have achieved that goal, and always admired their dedication. So I set a new goal: 1000 miles in one year! As I type this, I am 71 miles away from my goal. I have 32 days to complete the 71 miles, and achieve a goal that not only was unexpected, but was only dreamed about. If I can run 2.3 miles a day on average, I will make the goal. I am just amazed by what my body is able to endure, how my determination has increased, and how I enjoy working out and exercising. It was only a few short years ago that I could barely run a 5k. Now I have completed two marathons, several half marathons, numerous 5k and 10k races, two sprint triathlons, and many long bicycle rides. Tomorrow I meet up with my dear friend and training partner Kara, and we will swim and spin as we prepare for a new goal: an olympic distance triathlon. As we train and prepare for our main goal, I have to wonder if there will be any “unexpected goals” that will surprise me yet again. “Winter is coming” is a common phrase used among fans of the “Game of Thrones” series. In Iowa, the appropriate statement should be “Winter is here”. The polar vortex has brought with it the cold temperatures and snow that is all too common in the midwest. For runners, it is the time to put away the running shorts and t-shirts and either prepare for a season of treadmill running, or to switch into winter mode. If you are like me, you like to get outside. As long as the temperature isn’t dangerously cold or there is ice all over, I like to run outside. But in order to do that, you have to dress appropriately to avoid frostbite or at worst hypothermia. 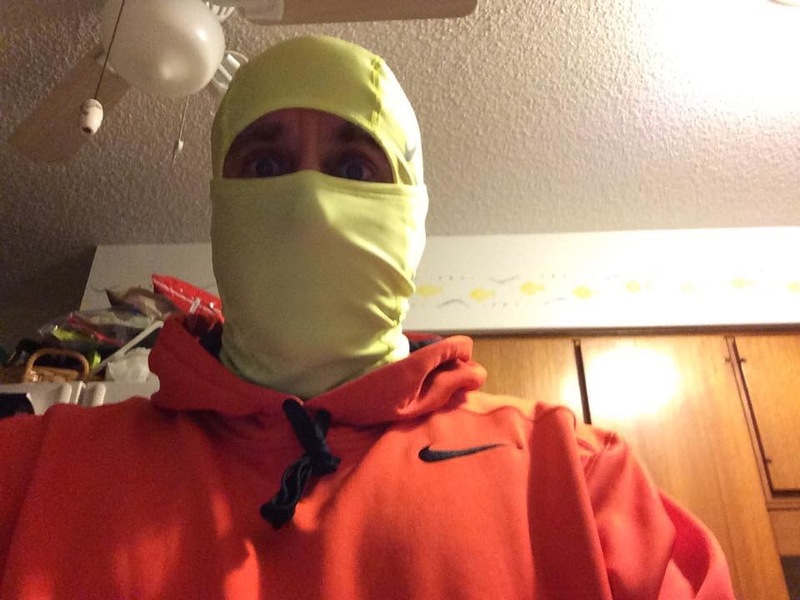 So in this blog, I’m detailing what I wear on cold weather runs. Every person is different, and you should adjust accordingly. The rule of thumb is to dress 10 degrees warmer than it actually is, as you will be creating heat with your running. I dress in layers, especially in the chest area. 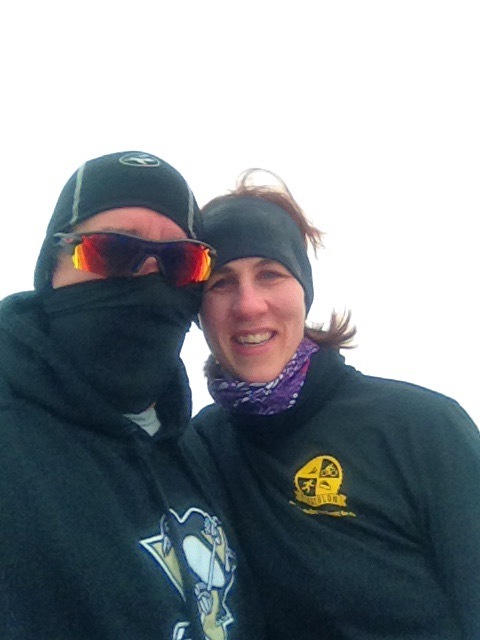 On the last run I did outside, the temperature was 21 degrees F, with a wind chill of 9 degrees. I felt cool but fine during the 5 mile run. 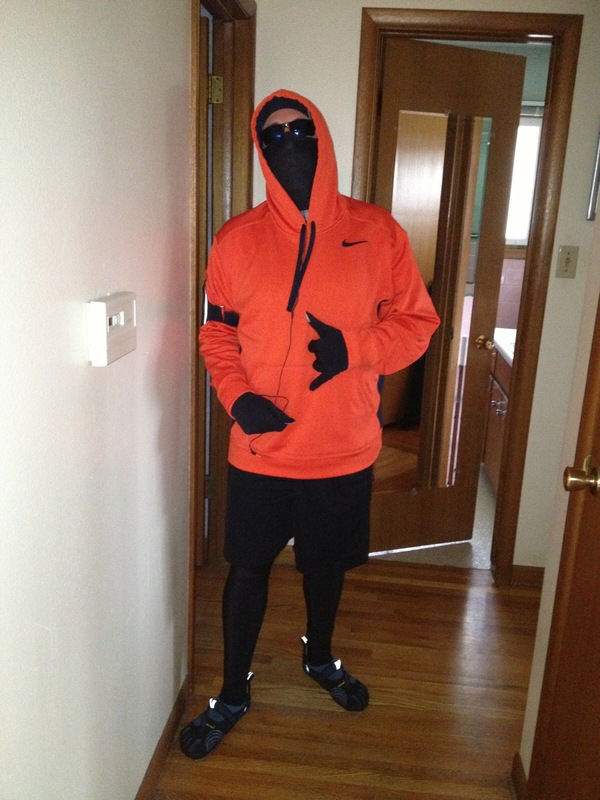 I wore a long sleeved dri-fit shirt and a hooded sweatshirt for the top, a pair of CWX compression tights for the legs, a pair of toe socks that are generally thicker than my normal socks, a pair of mittens that have a liner glove in them, a hood or balaclava, and sunglasses. I was quite warm once I started out, and stayed that way throughout. As it gets colder, or if the wind gusts increase, I will pull sweat pants over the tights to block the wind from my legs. I will also put on an undershirt, as another layer against the cold. I think my glove/mitten set is fine for now, as well as my hood. If it’s icy, I will put on running cleats that you can find in most running stores. They pull on and off pretty easily, and give you some level of traction. When the temperature is a mixed bag, where it may be cold to start but warm up later, you will want to dress in some layers that are easily removed. 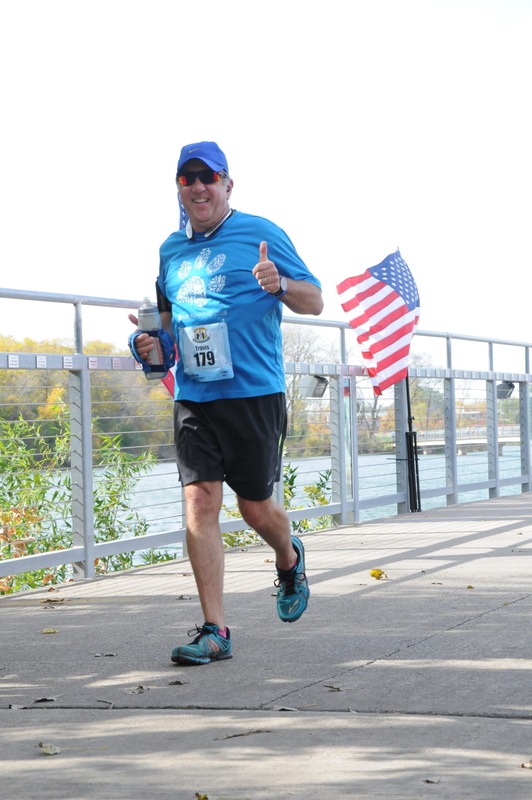 During the last marathon, the temperature was 41 degrees F at the start, but was in the low 60’s when I finished. I had on gloves and a running zip up sweat shirt that could be easily removed. Since the marathon collects, cleans, and donates the clothes that runners “throw away”, I didn’t feel bad about tossing them to the side of the road when I warmed up. One day on a training run, I didn’t pay attention that the temperatures were going to quickly increase, so off I went all bundled up. After 5 miles the temps rose, and I really started to sweat. With no way to discard of my clothes, I had to gut it out in the personal sauna I made. Lesson learned: pay attention to the weather reports. Be cautious when running in snow as objects, such as broken concrete, can be well hidden. Also ice can be hidden under the snow and lead to a slip. Know the areas you are running in, and let someone know how long you’ll be gone and your route, just in case you have a problem. 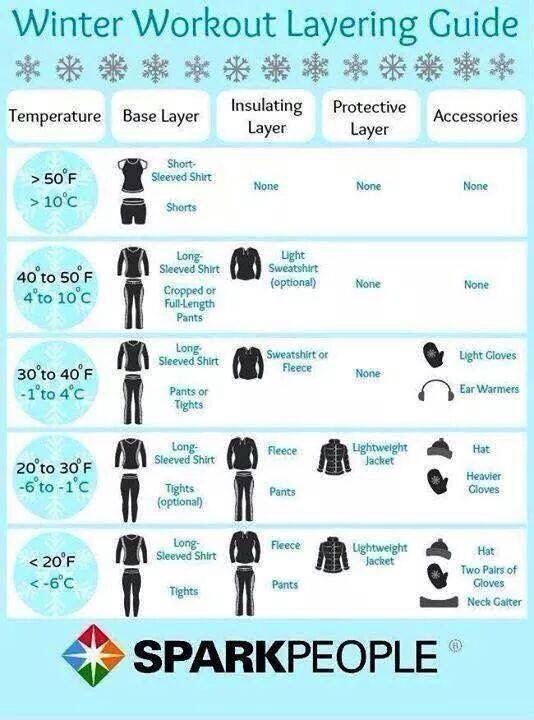 This chart was posted by “Sparkpeople, and it gives a nice example on how to dress for the colder weather. You can run almost outdoors almost all season long, as long as you have the proper gear, are careful, and pay attention to the temperature and weather reports. The Hot Chocolate 5k was Sunday, and while it would have been a normal race with the exception for the chilly temperatures and the wind, there was something remarkable about this particular event. It was the first 5k race for my wife Julie! She has been training, and while running is somewhat hard on her due to back pain, she has pushed on and been running three miles with me in our neighborhood. A couple of weeks before the 5k, my friend Stephanie texted me and asked if I wanted to do the event with her. I jumped at the chance, as Stephanie and I have logged in many miles together and I consider her a mentor as well as a dear friend. I failed to mention to Stephanie that my wife was running, and after our conversation I asked Julie if she wanted to run with us. I was excited when she said “yes”. We decided to surprise Stephanie and kept Julie’s running a well guarded secret until we were to meet up with Stephanie on race day. We agreed on a meeting spot before the race, and when we arrived I asked Julie to hang back a little in hopes that Stephanie would not see her right away. That didn’t work, as Stephanie spotted her right away. Then she noticed Julie was wearing a bib number! The surprise on Stephanie’s face was priceless. She hugged us both and after chatting for a bit with Stephanie’s husband Paul, and our friend Justin who was running the 5 mile event, we lined up and got ready to run. The race went well, and Julie stayed consistent throughout the run, finishing with a time of 38:50! She stopped only to sneeze because of the cold, and to grab a water, and pressed on. To say I am proud of her is an understatement. It took a lot of courage to train with a bad back, yet she did and she succeeded! I hope that she joins me in other runs in the future. 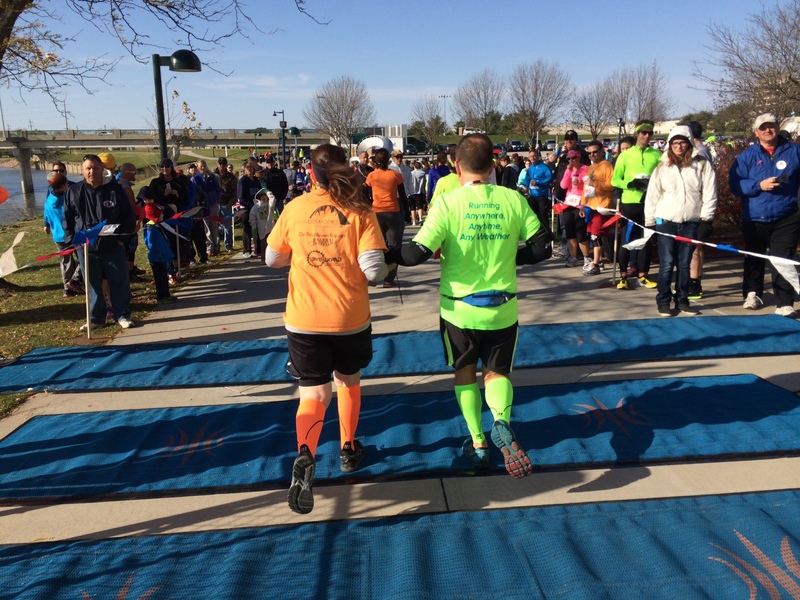 Julie and I crossing the finish line together at her first 5k. 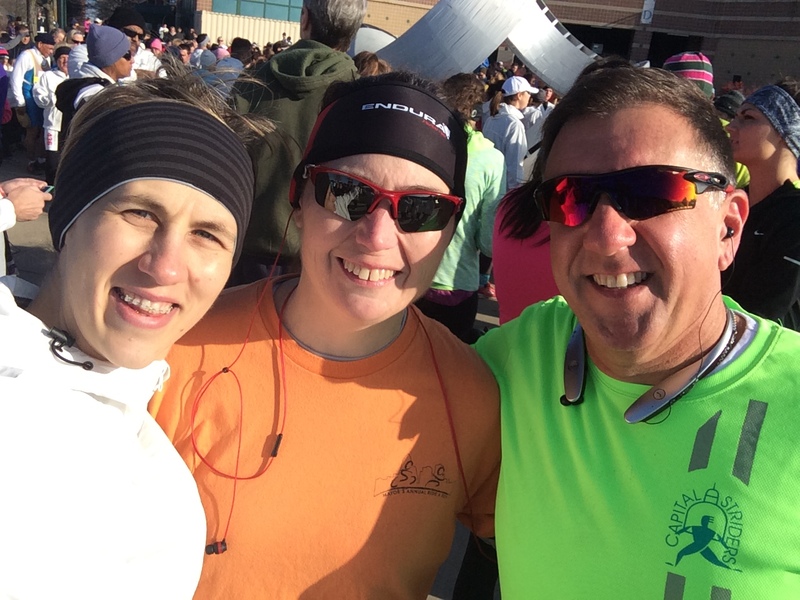 Stephanie, Julie, and I at the Hot Chocolate 5k. Thank you Paul for making us all breakfast after the run! What a great Sunday!